SUKLAATILA – literally translated as “chocolate space”, is a Finnish hand-made chocolate brand from countryside. 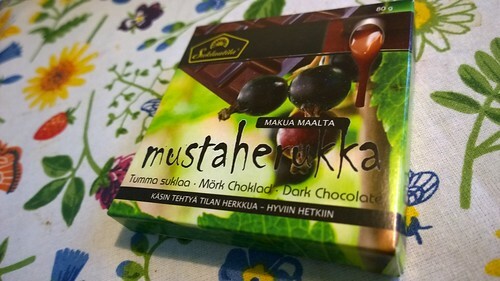 For me, their most interesting products are those chocolates that contains Finnish local dried berries or herbs. The one I bought to try is dark chocolate with quite a few whole dried blackcurrant. Really tasty! Welcome to contact me if you want to buy this chocolates!